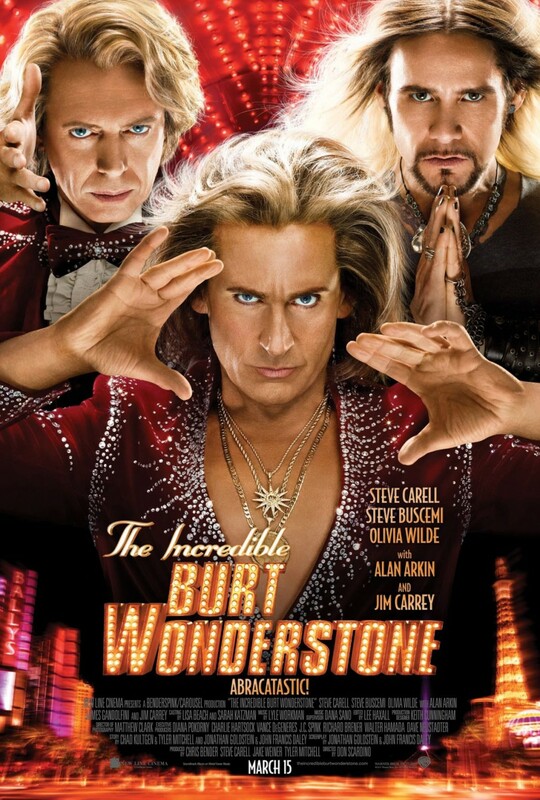 Chrichton's World: Review The Incredible Burt Wonderstone (2013): Abracadabra It's Magic! Review The Incredible Burt Wonderstone (2013): Abracadabra It's Magic! It is beyond me why this movie has slipped by people's radar. It easily is one of the best and funniest comedies I have seen this year so far. So what is the deal? One thing you have to realize this is not a comedy filled with slapstick comedy or where it is relatively unknown how it will end. You will know how it will end. No,it's a feel good comedy. Therefore it's goal is not to surprise you with eventful plot lines but simply to bring you on a short journey to deliver you that good feeling in the end. And it completely succeeds in doing that. Another thing that is important to make the viewing experience more fun is the magic.You have to love it otherwise the appeal will be lost on you. Tied to the profession of magic performed by the main characters is the moral and universal element how important it is to love and be passionate about your job. I am not sure if all jobs require that but in this case you can see it does make the difference. I need to mention Jim Carrey's role in this one. He is like a combination of Criss Angel and Jim Morrison with a heavy Jesus complex. It's a villain that is not that evil but evil enough to know he is up to no good. It's a perfect contrast to Burt Wonderstone played by Steve Carrel who is the good guy with some bad habits. To be honest I thought that the whole cast was enjoyable and did what they had to do. I was laughing throughout the movie at the sometimes silly and childish jokes but wasn't really expecting high level comedy in the first place. In my opinion an underrated comedy that deserves better recognition.